Tone 4 holds the Intention of Stability. Representing the cube, the most stable of forms, 4 dimensions offer a sense of orientation and direction through parameters and boundaries. Tone 4 defines the area where we can exist to maintain our stability, like the rules of a game. Night/AKBAL is a Day Sign of the Unseen, and all things that lie in the darkness. AKBAL has the power to connect the two sides of our Consciousness, our Intellect and our Intuition. AKBAL also knows the thoughts that lie in our subconscious and can resolve our inner fears. AKBAL is the Voice that speaks to us in our Dreams that can help us engage our own GPS system of Spirit. AKBAL offers a Light we can see in the dark. AKBAL can help us overcome our fear of the dark and impart the willingness to move through it. The glyph illustrates the darkness of the Night with curtains drawn back to reveal a light that is shining there. We are given the Brightest Star to follow. AKBAL reflects a Light of Truth, that the darkness is the Creative Void, a place of unlimited possibility. In this realm of creation, we define by our own Intention the Miracle we will draw into being. AKBAL can help us see how all things without form are waiting in the darkness so that Human can define their boundaries and form. Under the guidance of AKBAL, we will know the dimensions that will insure the stability of our Dream. The Sun/AHAU trecena includes 3 Portal Days that thin the veil to other dimensions and empower our psychic gifts of intuition and telepathy. On 4 Night/AKBAL a portal will thin the veil of darkness to magnify our Consciousness of Divine Discernment. The Deer/MANIK trecena inspired us to walk a path of Beauty and to be a Divine Agent of God’s Light in the world. The Inspiration was Truth we learned in theory. 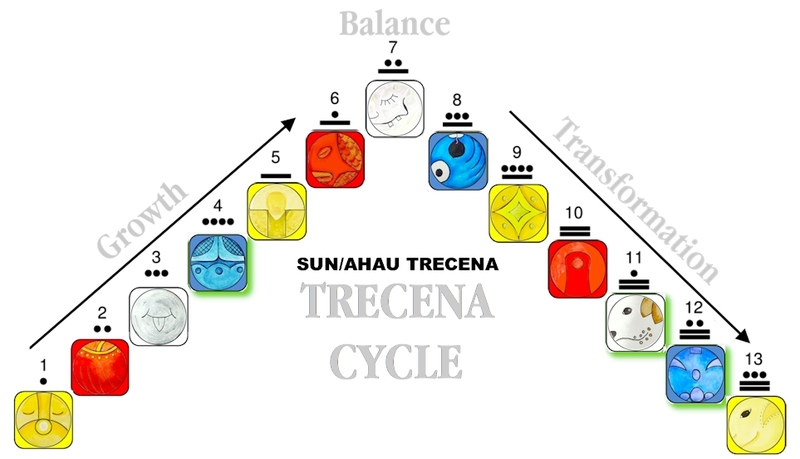 Its full meaning is comprehended through a personal experience being guided by the trecena of Sun/AHAU. By the effort of our own Intention to carry it out, we learn the Human realities of our Mission. My own ideas about how I would carry this out have changed substantially over the past few days. In theory, I saw Deer/MANIK as a search and rescue mission. The outcomes of the assignments I took on didn’t establish any stability, they only solved and immediate problem. My reality was that there would be no end to the problems. They will multiply into more than one Human can resolve. I remembered a Truth I had already discerned for myself, that we offer greater help to people in need when we support organizations who have successfully worked together to establish a source of help that will continue to be available in the future. It doesn’t mean I will never be called to help in the one-on-one. I learned that a Divine Calling, like Truth, will come without any question that it is what I’m meant to do. Our Willingness is the most important thing. Even when our effort doesn’t perfectly execute the plan, by our Divine Intention, good WILL come of it. We are growing the Seed of a new Harvest. The harvest defined by Sun/AHAU is a bounty of Life, Light, and Happiness. AKBAL shows us that the direction and choices we make will always lead to this outcome when we follow the Light of Spirit. This means that when we’re unclear about our direction, our best course of action is to stand where we are, believing the answer will come. We don’t have to move off center to meet an immediate demand in the world. We can stand and wait for our eyes to adjust to the Light. Our Happiness will be maintained by knowing we can we took time to Ask for a Divine Answer. The Creator always shines a Light on the next Right thing. At the most fundamental level of Spirit, we know Right from Wrong. It’s not defined by others. In other words, the rules and regulations created by Human aren’t the final word. God has the final word in Divine Justice. There are loopholes in Human laws that accommodate acts of injustice. The integrity of the Deer requires that we adhere to the Higher Standard of our Own Truth. Deer’s Gift of Harmonic Resonance is the Service we can provide. Standing on a foundation of Love, we shine the light of Life, Light, and Happiness like the Sun. Our own Happiness will radiate through the Whole. AKBAL guides us to depend Wholly upon Spirit for our solid ground and the place we will Know the Right Direction. No matter the outcome, we can stand on the Purity of our Intention. We’ll never have to be sorry for what we did. 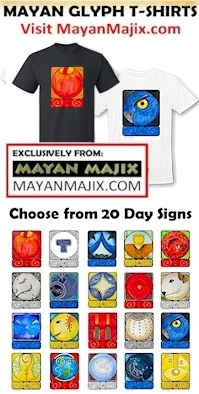 The Cherokee Day Sign the Hearth represents the Sacred Fire that burns through the night. This is the place where the Ascended Elders are gathered together around a Sacred Fire. They Believe on our behalf, and can fan the embers of Faith into the Fire of Believing. Night/AKBAL is often a dreamy kind of day when we may feel half here and half lost in a dream. Residing in the West and holding the Element of Water, AKBAL can bring healing to our Emotions and fears that lie in the heart. Listen for this Voice. When we hear it, we’ll know our own Light in the darkness. To all my relations, may we be stabilized by the Light of our own Truth. May we hold the integrity of our own sense of Right and Wrong. May we give thanks for the Ascended Ones who fan the flames of our Faith and wait for us to call. They will keep a Light shining in the place of Divine Discernment. May we listen to the Voice that speaks to us in our Dreams. May the fact that it exists be as important as the message. May we know that whenever we are afraid of the future, our vision is only clouded by an illusion. We can find the Light again. When we enter the darkness, our eyes will be adjusted again to see the eternal Light of Spirit. I’m grateful for the ever-present Voice of Spirit within that we can depend on to know the next right thing to do. I’m grateful that when we follow it, there will be no doubt that we are moving in the right direction. I’m grateful that this shining Light marks the place of Light, Life, and Happiness that is eternal in the realm of Spirit. Hello, again. Sorry for being so inquisitive but you seem to be the most accomplished (and available) teacher about the Tzolkin I could manage to find. I really want to know about the Portal days (and the other related definition, the Core days). So far, what I could muster is the imbroglio with Argüelles and its confusing (and misleading) Dreamspell. Can you clarify the matter, please?